"All Products Backed By Our 100% Results Without Toxicity Guarantee "
Delivers Complete Proteins To The Deepest Layers Of Your Skin. Non-Greasy Dispenses With Roll On Applicator. Nothing Compares With Flooding Your Skin With Protein. Instantly Tightens, Tones, Makes Your Skin Silky Soft, Wrinkles Smooth And Gives You A Healthy Glow. Dramatically Improves The Results Of Any Other Product You Use. The Main Reason For Sagging, Wrinkled Skin As You Age Is A lack Of Protein. Instructions: Use On Face, Neck And Around Eyes. Hold Roll-On Applicator Bottle Upside Down And Roll On Skin. Then Take Your Fingers And Spread Evenly. Use As A Stand-Alone Product Or Layer On Other Products Using Proveine As The Base. Immediately Your Skin Becomes Firmer, Tighter, Smoother And More Glowing. Results Improve With Continued Use. Instructions: Dispense A Small Amount In Your Hand And Spread Evenly On Your Face. Wait A Couple Of Minutes For The Enzymes To Absorb So You Feel A Tingle And Can See Increased Blood Flow And Allow That Effect To Continue A few More Minutes Then Rinse Off. We Recommend Not Leaving On Longer Than 5 Minutes And No More Than Every Other Day Use. Redness Is Normal When Using This Product. Do Not Over Use This Product By Leaving On To Long Or Using More Than We Recommend. Do A Patch Test Before Use. Instructions: Apply daily preferably AM and PM, pump 2 or more times in the palm and spread evenly, use more for increased effect. Can be used with any of our other products. Effective For Healing Acne, Rosacea, Eczema, Psoriasis Or To Detoxify And Maintain Healthy Skin. Infuses your skin with 80 bio-available minerals while deeply pulling the toxins out. Directions: Starting Out apply a thin layer and allow to dry for about 5 minutes, rinse off. Keep increasing the thickness of application and more drying time, up to 20 minutes for deeper detoxification. Use 1 to 3 times per week. Ingredients:Rare Earth Mineral Clay, Energetically Structured Fresh Spring Water, Organic Jojoba Oil, Organic Virgin Olive Oil, Grapeseed Oil, Organic Hand-Filleted Aloe Vera, Bladderwrack, Cocoa, Kigelia, Bio-Extracted Frankincense, Gotu Kola, Green Tea, Lemongrass, Orange Peel, Peppermint Leaf, Rosemary, White Oak Bark, Peppermint Essential Oil, Organic Raw Honey, Bio-Extracted Quaking Aspen Tree Bark, and Bio-Extracted Horseradish Root. Effective For Regenerating Dull, Dry Wrinkled Skin. Infuses Your Skin With Fulvic Acid Mineral Complexes Including Gold and Platinum. Deeply Moisturizes and Aids Cellular Regeneration. Directions: Cleanse Skin and dab small amounts on face and neck and massage into skin. Use AM and before sleep. Can be used under makeup. If applying sunscreen apply sunscreen first then Mystique. Ingredients: Fulvic acid mineral complexes (80 minerals including gold and platinum are naturally chelated, bio-available, and complexed with 28% fulvic acid), free saturated fatty acids (coconut extracted), hand filleted Aloe Vera juice and gel 100% concentration, energetically structured fresh spring water, 100% extractions of frankincense and kigelia, cucumber extract, MSM, lecithin, xanthan gum. A Cleansing Bar That Exfoliates, Nourishes And Soothes Your Skin. Effective For Any Problem Skin Like Acne, Rosacea and Eczema. Naturally deodorizes, exfoliates and deeply cleanses while providing needed nutrients and moisturization for your skin. Directions: Wet your skin and lather directly with the bar or use with a washcloth. Can also be used as a shampoo and shaving soap. Ingredients: Saponified Organic Virgin Coconut Oil, Saponified Organic Virgin Olive Oil, Castor Oil, Fresh Spring Water, Organic Jojoba Oil, Organic Hand-Filleted Aloe Vera, Bladderwrack, Organic Cocoa, Kigelia, Frankincense, Gotu Kola, Green Tea, Lemongrass, Orange Peel, Peppermint Leaf, Rosemary, White Oak Bark. Instantly tightens and the tightening effects keep increasing with continued use. Helps pull the sag out of the face and neck. Helps prevent fine lines, wrinkles and sagging skin from developing. The sooner you start using this product the better. Contains The Richest Broth Of Plant Stem Cell Cytokines Ever Developed. They Are Signalling Molecules That For Example Tell Your Cells To Produce More Collagen And Elastin Fibers. Regeneration Will Not Happen Unless These Molecules Are Present. Can be used alone, underneath any moisturizer or to intensify and accelerate the skin tightening effects of the Natural Fusion Facelift Cream(tm) or Luminance Eye Cream(tm). Directions: This product is very stimulating. Always do a skin test on a small patch of skin before general use. Before applying cleanse skin, then simply hold the vial upside down and roll on. After liquid dispenses on skin take your finger tips and spread evenly. When applying around eye make sure to not get into eye or apply to eye lid. If you have problems with the liquid dispensing roll on the back of your hand a few times. A small amount of redness or glow is normal however if you experience itchiness, extreme redness then reduce frequency of use or discontinue. This product can be applied under makeup, sunscreen or moisturizers. For extra tightening you can apply extra on top of the moisturizers, Facelift and Eye cream. If you have questions email us through our contact page. Contains the only active ingredient (Flavinall™) proven to help restore the protein matrix responsible for holding the skin together. 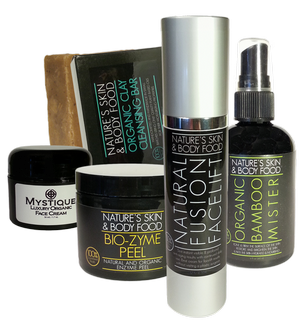 Natural Fusion will give you a more youthful look naturally through enhanced skin health. Natural Fusion Fast Firming Facelift Creamtm also gives you brighter, fuller, thicker, and more elastic skin. All of these components are essential to looking younger. Directions: Cleanse face and neck take the Stemlate vial and roll onto skin then spread evenly with fingers. Allow 1 or 2 minutes for absorption then apply 4 to 8 pumps of the facelift cream to face and neck. For extra tightening on problem areas you can apply extra Stemlate and Facelift Cream to those areas after allowing a few minutes of absorption. You can apply other products or makeup. For those who want more intense skin tightening. 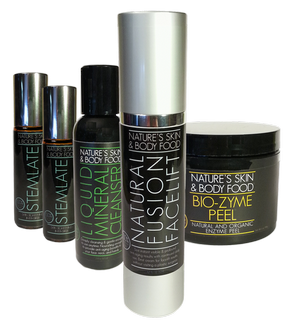 How To Use the Natural Fusion Fast-Firming Combo Offer. You do not have to do this every time you can just apply the Natural Fusion Fast-Firming Facelift Cream with or without the Stemlate. First use the Biozyme Peel - Start by cleansing your face with the Organic Facial Cleanser. Then apply the peel in a medium layer over your entire face and neck. It is safe under the eyes and around the mouth. Gently massage into the skin for a minute or 2 leaving a surface layer to dry for few minutes (some redness is normal however start off with a thin layer and a shorter leave-on time gradually working up to a thicker layer with a longer leave-on time. Giving your skin time to adjust to the stimulation) Then simply remove all of the peel with warm water, and pat face dry. This has a resurfacing effect, removing dead cells and preparing your skin for optimum results. The next step is to gently roll the Stemlate around the face and neck and then taking your fingers spreading evenly. Wait about 1 minute and then apply the Fast Firming Face Lift Cream - which contains the active skin tightening ingredient Flavinall™ which is our very own bio-extracted, citrus flavinoid-peptide complex derived from organic food sources. Apply a thin layer over entire face and neck, it is (approximately 4 to 8 pumps) also safe for use around the lower eyes and mouth. Gently massage into the skin and allow it to absorb about 2 or 3 minutes. Then if you want extra tightening you can apply another layer of Stemlate and a little more of the facelift cream. For problem areas always do this extra step on those areas. After about 5 minutes women can apply makeup. We recommend that you use The Facelift Cream And Stemlate AM and PM for best results. The peel can be used 1 to 4 times per week. For those who want skin tightening with added moisturization. You do not have to do this every time you can just apply the Natural Fusion Fast-Firming Facelift Cream. 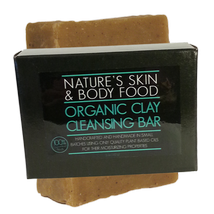 First use the Biozyme Peel - Start by cleansing your face with the Clay Cleansing Bar. Then apply the peel over your entire face and neck. It is safe under the eyes and around the mouth. Gently massage into the skin for few minutes (some redness is normal however start off with a thin layer and a shorter leave-on time gradually working up to a thicker layer with a longer leave-on time. Giving your skin time to adjust to the stimulation). Then simply remove all of the peel with warm water, and pat face dry. This has a resurfacing effect, removing dead cells and preparing your skin for optimum results with the next steps. The second step is the Fast Firming Face Lift Cream - which contains the active skin tightening ingredient Flavinall™ which is our very own bio-extracted, citrus flavinoid-peptide complex derived from organic food sources. Apply a thin layer over entire face and neck, it is (approximately 4 to 8 pumps) also safe for use around the lower eyes and mouth. Gently massage into the skin allowing it to absorb as much as possible. 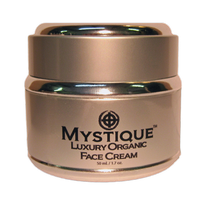 Now apply a small amount of Mystique Moisturizer on top of the Natural Fusion and spread evenly. 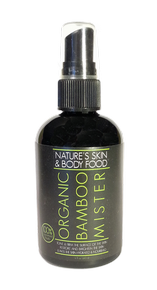 For better absorption spray the Bamboo Toning Mist lightly over the entire area and allow a few minutes to absorb before applying makeup. A refreshing toning mist that can be used to set makeup, moisturize the skin or to enhance a deeper delivery of all products. Hold about 8 inches from face and mist. Repeat throughout the day suitable for all skin types. Structured Fresh Spring Water bio-extracted fulvic acid mineral complexes, Bio-Extracted Structured Bamboo Water, Organic Orange Essential Oil, Bio-Extracted Quaking Aspen Tree Bark, and Bio-Extracted Horseradish Root. 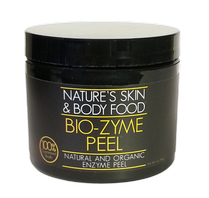 Biozyme skin peel is the only non-chemical skin peel that we know of that really works. If you use this product every other day for around a month you will get similar results to a commercial medium skin peel, without the anesthesia, swelling, or mandatory down time. Instructions: Cleanse face and apply peel let dry approximately 5 minutes and wash off. Our standard protocol is as follows: Do a single layer peel every other day, always followed by a little organic moisturizer if you have normal or dry skin. Oily skin types may or may not need to use moisturizer after peel application. Applying natural makeup after using the peel is fine. Check the ingredients for chemicals, if your makeup contains chemicals then only use the peel at night before going to bed. The peel does not need to dry completely to be effective. For more intense effects, you can apply one layer wait 5 minutes and apply another layer on top up to three layers. Product can be safely used on all external parts of your body, legs, arms, back, stomach, chest even your feet. Use common sense while using the peel. If your skin starts feeling raw or irritated then reduce frequency of use. This peel is gentle enough to use under the eye area. You can use all of our other products while using the skin peel. The effectiveness of the other products are increased because the peel will facilitate a deeper penetration into the skin. Even though this peel does not have chemicals, it is powerful. So start off with a thin layer and just a few minutes leave-on time gradually working up to a thicker layer and longer leave-on time. Giving your skin time to adjust to the stimulation. Redness is normal when using this product and will dissipate within about 30 minutes after use. As with all skin care products do a patch test before use. The Best Eye Cream For Removing Dark Circles, Puffiness and Bags From Around The Eyes While Smoothing and Reducing Wrinkles. Which is proven to be the most collagen and elastin enhancing active ingredient ever developed. Instructions: Product is effective for all skin types (oily, dry, light and dark ethnicity) and ages. After cleansing your face apply a small amount around the eye. For better results apply a little extra before going to bed. Gently rub the product in and allow few minutes to soak in before applying makeup. Apply only as much product as your skin will absorb (unless you wish to apply 'a little extra' before bed. If you want more toned, smooth, wrinkle free skin or if you want to clear acne, eczema, rosacea, or psoriasis. Then use these products in the comfort of your home for a professional results facial. Cleanse your face with the luxury clay cleansing bar Am and PM. Afterwards, apply a thin to moderate layber of Mystique™ to your face and neck including around the eye and behind the ears and neck. 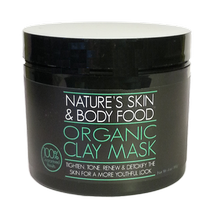 Every other day, apply our clay mask "Nature’s Transdermal Face Food™" to your face and neck. Allow to dry (usually around 10 or 15 minutes), then wash off in the shower or bath or with a warm towel at the sink. We leave a little grit in the clay to help with exfoliation, so when you are washing the mask off be careful not to use too much force. Always apply the moisturizer Mystique™ after using the clay mask. We recommend while you are using these three products that you avoid the use of any other product containing toxic chemicals -- particularly avoid toxic products for up to 24 hours after application of the clay mask (with the exception of some foundation or light makeup and mascara). Most face moisturizers and eye creams, even the really expensive ones, contain toxic chemicals. You are using the clay mask to get this toxic junk out of your skin - so don’t keep adding it back into the skin. As your skin improves, you willl have the option to choose to wear much less makeup or none at all; and you really won't need any other skin care products. To Absolutely Look And Feel Your Best You Need To Do Something To Detox Your Body. 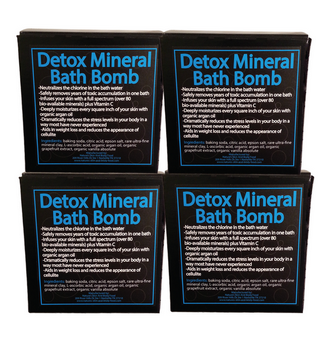 The Detox Your Body Mineral Bathbomb(tm) Is The Most Effective And Pleasant Detoxification Method You Will Ever Experience. Neutralizes the chlorine and chloramines in bath water. Safely removes years of toxic accumulation in one bath. Deeply moisturizes every square inch of your skin with organic argan oil. Dramatically reduces the stress levels in your body in a way most have never experienced. Aids in weight loss and reduces the appearance of cellulite. Improves Problem Skin like Eczema, Psoriasis and Dry Itchy Skin. Disclaimer: If you have a medical condition or take medications please consult with a doctor before using this detox your body mineral bathbomb. Do not consume alcohol or any drug, legal or illegal before use. Do not exceed 30 minutes None of our statements have been evaluated by the FDA for medical accuracy. Directions: The Organic Argan Oil Is going to make the bathtub slippery after the bathbomb is placed in the water, be careful getting in and out of the bathtub after using the Detox Mineral Bathbomb. We highly Recommend the use of an anti slip bathmat placed in the bath tub before use. We also recommend using an anti slip mat on the bathroom floor after getting out of the bath. An added precaution would be to drain the bath, use a little soap on the bottom of the bathtub and then rinse until you feel no slip before standing up. Fill your bathtub with warm to almost hot water about 1/2 full. Immerse yourself in the water and place the detox your body bathbomb in the water. 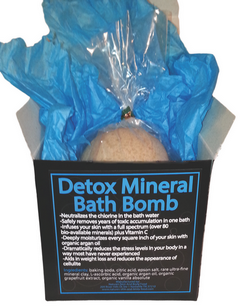 Let the detox your body bathbomb bubble and fize and disperse the ingredients throughout the bath water. Then just simply relax in the water and add a bit more hot water to keep the temperature comfortable. After 15 to 30 minutes drain bathtub and rinse with a shower. If at anytime you feel nauseous or light-headed discontinue bath. Proven More Effective Than The Toxic Chemicals Hydroquinone, Kojic Acid, Alpha/Beta Arbutin, Undecylenic Acid, M-Tranexamic Acid. You find in the majority of skin lighteners. 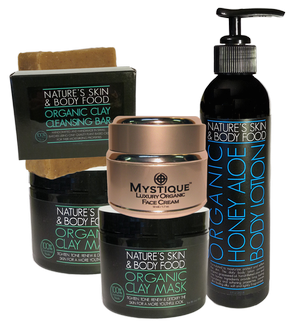 Don't damage you skin with chemical products when you can get better results with this all natural product. Instructions: Apply Nature’s Skin Light™ to a cleansed area preferably using our luxury clay exfoliating soap AM and PM. The natural herbal scent will dissipate within a few minutes. Allow at least five minutes to absorb into the skin before applying any moisturizer or makeup. You will see a slight change with the first application; some visible results within 10 days; and good results around 30 days. The skin lightening ingredients we use in our proprietary herbal formula are based on extracts from the root of the waukee tree a member of the fig family grown mainly in Hawaii and Indonesia and extracts of bearberry. 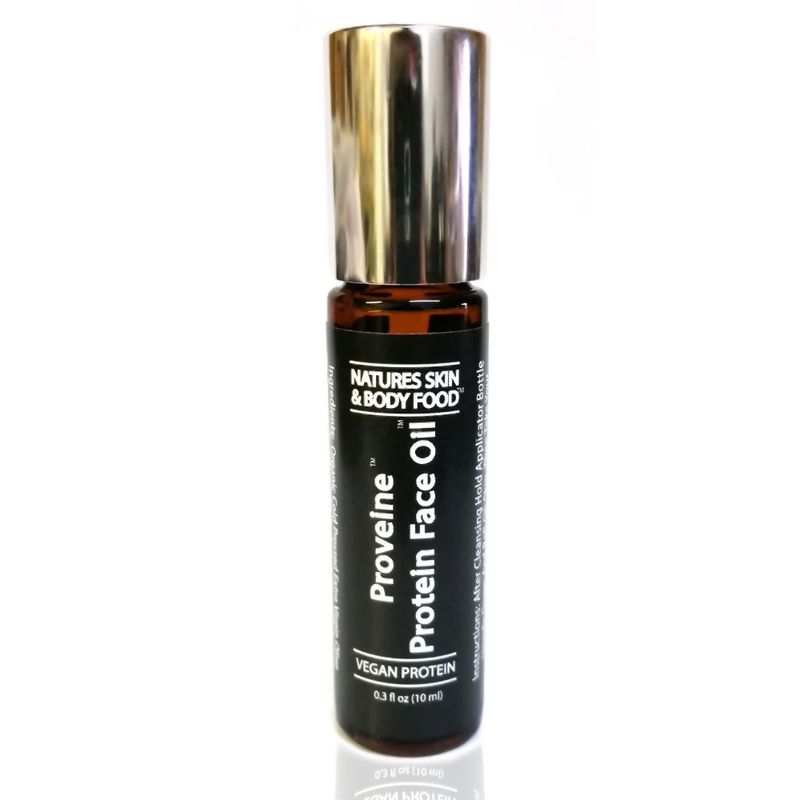 This waukee root extract is approximately 15x more effective at inhibiting tyrosinase (the enzyme responsible for producing the darker pigment) than hydroquinone. To create a more balanced formula we actually cut back on the amount of waukee root present and adjust the effectiveness of the active agent with bearberry extract, niacinamide (vitamin B3), vitamin C, and natural enzymes and cofactors. This lightening agent combination works quickly and is entirely safe. This organic lotion is designed to give you quality skin care without putting harmful chemicals in your skin. The power of this product on the skin is remarkable. It is non-greasy and will moisturize, protect, heal, and renew even the most troubled skin. Suitable for all skin types and skin issues. This organic lotion is made with natural, organic, wildcrafted plant and vegetable-derived extracts each of which offers various benefits to the skin. Instructions: We recommend using this lotion daily for best results. Preferably after bathing apply to face and body and massage into your skin. You can apply other products on top without contraindication. Results are immediate and build with continued use. We make this lotion by taking fresh organic sweet potatoes and using our patent-pending bio-extraction process we get all the nutrients that were in the sweet potato-into this lotion. Infusing those nutrients into your skin gives your skin the most powerful all natural anti oxidant lotion ever developed. This lotion can be used on the face and body. You can apply other products on top without contraindication. Results are immediate and build with continued use. This light, non-greasy, organic zinc oxide sunscreen is perfect for the face and body and is designed for all skin types. We use no chemicals, nano size particles or . Once on your skin this sunscreen becomes effective immediately. This Sunscreen does not leave a white residue like most zinc oxide sunscreens. It not only protects your skin it moisturizes and infuses organic hand filleted aloe. For Best Results: Apply evenly to exposed areas on your face and body. Be sure to massage into the skin. Reapply throughout the day especially if frequently getting in and out of water. This Is The Best Sunless Tanner For A Natural Looking Tan. The healthy alternative for a golden bronze skin tone. The only sunless tanner available which incorporates liposome technology in a spray form. Our liposome technology delivers more active ingredients below the surface of the skin than any other spray tan, which is why our sunless tanner will give you a more natural, deeper, longer lasting tan. 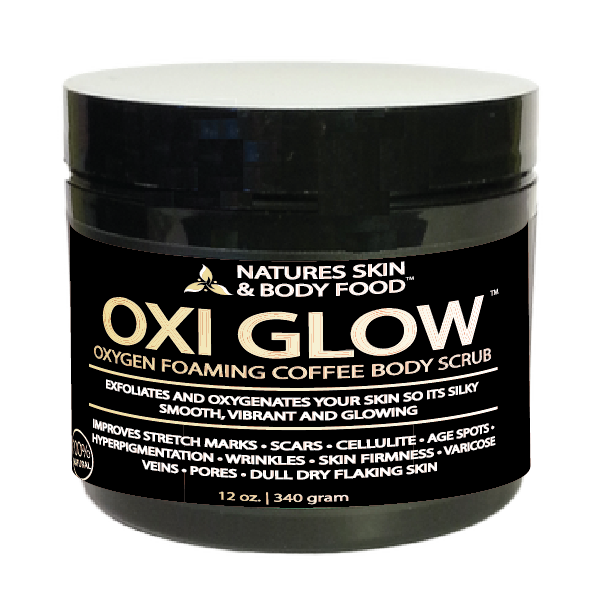 Your overall experience on the skin from using this product will be very similar to the way your skin would feel if you had spent a day by the pool in the sun. We've designed our tanner to create these effects by infusing your skin with natural melanin along with a unique synthesis of certified organic ingredients. Instructions: Pre-Application: (1) For best results shower and cleanse skin. A gentle exfoliation (non-oily) is recommended but not necessary. Make sure skin is towel-dry. (2) If concerned about inconsistent coloration on elbows, knees, hands, or feet apply a thin layer of body lotion to these areas. (3) To prevent falling mist from soaking into the tops or soles of feet wear sandals or cover these areas. (4) Use latex gloves if you intend to spread the tanner over your skin with the palms of your hands. Proper misting technique will not require use of hands to spread or rub-in product. How to Apply: (1) Stand on a towel in the bathroom. (2) Spray your entire body. Gently layer mist on skin. Apply only enough mist as the skin can absorb in 5-7 minutes. Avoid spray levels that cause running or streaking. (3) Apply up to three applications in one day based on desired color (each coat should dry in 5-7 minutes). (4) Be sure to wipe off the floor area around the application area as product can make tile or linoleum slippery. Be aware that your tan will increase and deepen over a period of 36-48 hours. Do not use product for more than 3 consecutive days. After 3 days wait 48 hours to determine tan level achieved. Once you reach your desired color, one or two applications a week should maintain your tan. Useful Tips: (1) For some skin tones one application will be sufficient. (2) For a youthful glow (on the face only), exfoliate face, rinse, and dry, then spray face, neck, and décolleté. Allow to dry and repeat up to 3 times. (3) After your first few applications, you will find it remarkably quick and easy to maintain or adjust your tan as a part of your normal bathing and grooming routines. (4) Although the product is specifically designed for solo application, some people prefer the maximum ease of having another person spray parts of or the entire body. (5) This healthy organic tanner will not stain clothes or fabric when dry. Ingredients: Fresh spring water, organic hand-filleted aloe vera, sugar extracted DHA, raspberry extracted erythrulose, certified organic jojoba esters, certified organic lecithin, bio-extracted wild-crafted chaga mushroom, bio-extracted wild-crafted frankincense, bio-extracted water soluble certified organic cocoa. Deeply cleans, conditions and removes any sebum buildup that can block or choke the hair follicle without using any chemical lathering agents. And Contains high levels of polyphenol anti- oxidants and Proanthocyanidins that we extract from fresh organic apples, rare aged tea and pomegranates. That are scientifically proven to help stimulate hair growth. Instructions: wet hair and pour a generous amount in the palm of your hand. Apply to wet scalp and lather rinse and then repeat. On the 2nd lathering allow to sit on scalp for 1-2 minutes before rinsing. Product is nourishing for face and skin-safe to rinse off hair and allow to run over face and skin. Contains a proprietary blend of long and very long chain essential fatty acids fortified with carotenoids that are scientifically proven to help grow hair. 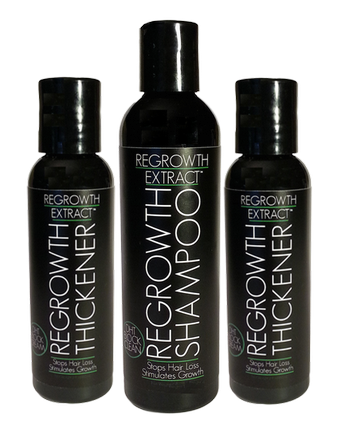 And this conditioner provides deeply penetrating herbal DHT inhibitors, vitamins and other nutrients that help re-grow thinning-balding areas on the scalp. Instructions: Normal Use is after shampooing and towel drying your hair. However Shampooing is not required. Place a small amount in the palm of one hand. With the other hand, dab product with fingers and use finger tips to work the cream into your scalp. Start with the balding or thinning areas first, then spread outward over the entire hair and scalp. If any product is left on the palm, rub remainder between both palms and massage into the hair and scalp. 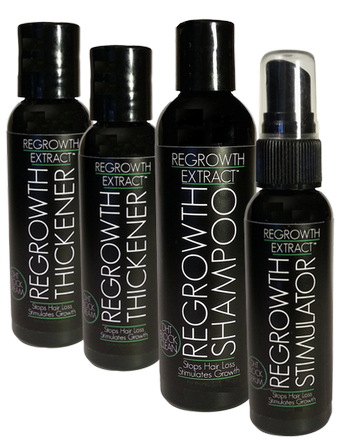 Contains powerful natural hair growth stimulators that are proven to thicken hair. This mist also contains phospholipids and plant extracted proteins that penetrate the hair shaft that instantly thicken and strengthen your hair. For People With More Advanced Balding-Thinning Hair. Misting The Scalp Several Times A Day Will Speed Up the Hair Regrowth Process. 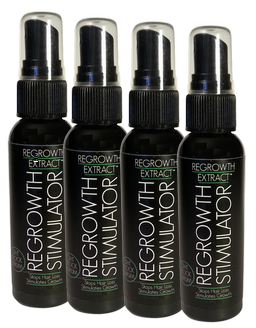 Special Combo Offer Buy 3 Hair Follicle Stimulators And Get the Fourth One Free.